Scorpa SY125F / SY175F (2003 - 2005) (428 Chain) - Talon Sprockets are made in England and feature a self-cleaning, heat-treated aluminum design. 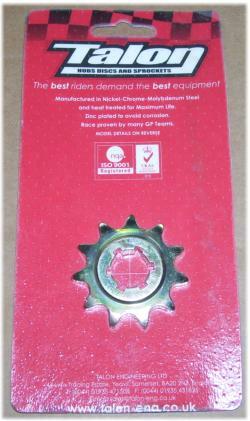 Talon sprockets are simply the best gearing choice! Less frequently requested sprockets are available upon phone request.